Welcome home to 1074 Limestone Drive. 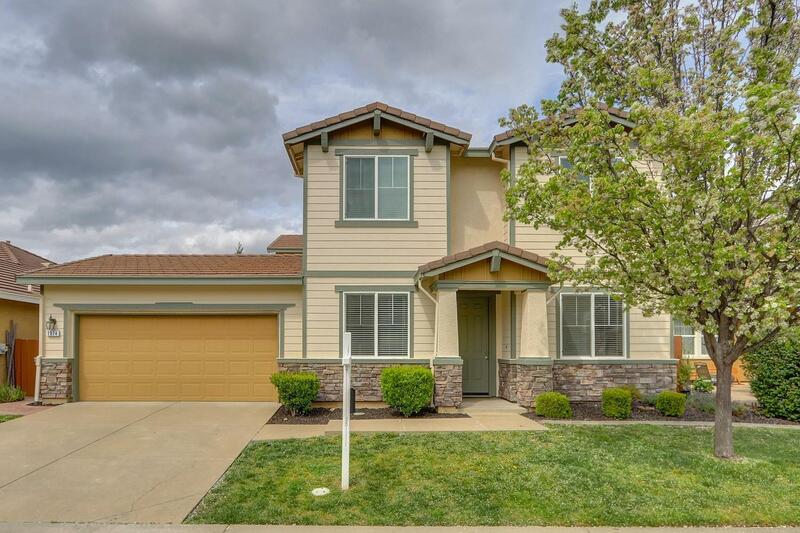 Great Folsom location just minutes to shopping, restaurants, freeway, and schools. This home offers room to grow with 5 bedrooms, 3 baths, formal family and dining rooms and open concept living room/kitchen. Upgraded laminate wood floors and tile throughout with new interior and exterior paint make this home shine. The kitchen features beautiful tiled backsplash and granite counters with a nice size pantry. Huge master bedroom with beautiful ensuite with his and hers vanities, large soaking tub, and an impressively large walk in closet. Charming interior private courtyard and low maintenance backyard landscaping await you to come relax and enjoy your new home!